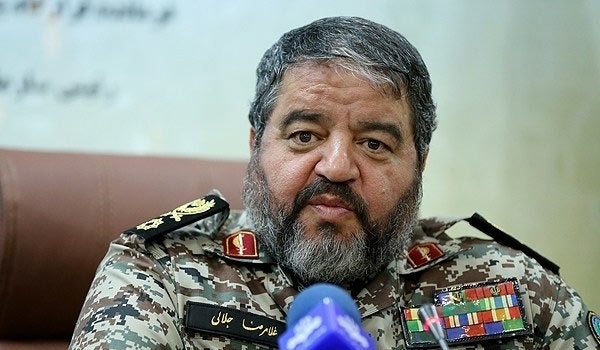 Head of Iran’s Civil Defense Organization Brigadier General Gholamreza Jalali said that former US President Barack Obama was the first-ever president who ordered and acknowledged the responsibility for the cyber attacks against Iran’s nuclear infrastructures. Operation Olympic Games was a covert and still unacknowledged campaign of sabotage by means of cyber disruption, directed at Iranian nuclear facilities by the United States and likely Israel. As reported, it is one of the first known uses of offensive cyber weapons. Started under the administration of George W. Bush in 2006, Olympic Games was accelerated under President Obama, who heeded Bush’s advice to continue cyber attacks on the Iranian nuclear facility at Natanz. Jalali told FNA on Wednesday that the former commander of the US cyber war proposed Obama to launch cyber attacks against Iran’s nuclear facilities, adding that Obama welcomed the idea and “for the first time a president admitted the responsibility for a cyber attack against another country and then they attacked us”. In October 2014, General Jalali revealed that a US cyberattack on Iran’s nuclear enrichment facility in Natanz failed due to his organization’s tough defensive measures. “The first cyberattack, codenamed Olympic Games, was carried out on Natanz and was declared by the US President, but it met our heavy (defensive) response,” Jalali told reporters in a press conference in Tehran. The senior commander said the US changed its cyber commander following the failure in the cyberattack on Natanz, adding that the US general was forced to retire several months ago “due to the wrong information and data that he had presented to President Obama”. The US was the principal player in the most sophisticated cyber-attack ever known and has been orchestrating a campaign against Iran designed to undermine the country’s nuclear program. The New York Times came up with an in-depth report on June 1, 2012 saying that from the very first month Barack Obama took over as US President, he secretly ordered increasingly sophisticated attacks on Iran’s computer systems that run the country’s main nuclear enrichment facilities. The disclosures about Obama’s role in the cyberwar against Iran appear to show beyond doubt that the US, with the help of Israel, was behind the Stuxnet virus attack on Iran’s centrifuge machines – used to enrich uranium. The revelation then indicated that Washington and Tel Aviv were also behind the Flamer and Duqu virus attacks discovered by experts in May 2012. Codenamed Olympic Games, the attacks were spearheaded by the US government under the Bush administration. Stuxnet targeted Siemens industrial equipment to spin hundreds of centrifuges beyond their breaking points and eventually disable Iran’s nuclear efforts. According to the report, Obama decided to speed up the attacks, even after the worm escaped from Iran’s Natanz plant in 2010 and later ended up on the Internet. During a meeting following the worm’s escape, Obama even considered that the worm should be stopped thinking that America’s most ambitious attempt to slow the progress of Iran’s nuclear efforts had been fatally compromised. Should we shut this thing down? Obama asked members of the President’s national security team. The report is said to be based on 18 months of interviews with current and former American, European and Israeli officials involved in the program as well as with outside experts, who provided contradictory assessments of how successful the attack was in slowing down Iran’s progress of developing nuclear weapons. While internal Obama administration estimates claim the effort was delayed by 18 months to two years, some other experts, both inside and outside the government, said that Iran’s enrichment levels had steadily recovered. A year later, Iran enriched uranium to the 20-percent grade, way beyond the 5-percent purity level that was done in Natanz in 2012.